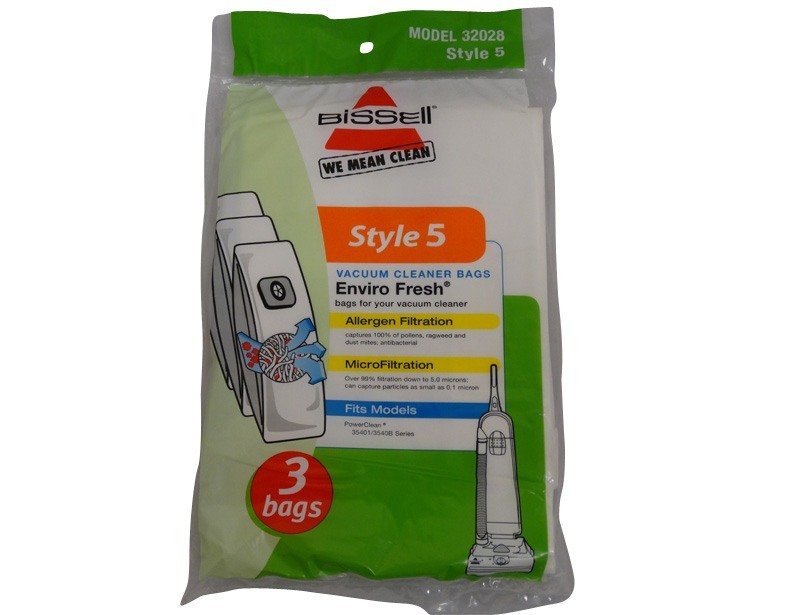 These Bissell Style 5 EnviroFresh vacuum cleaner bags fit PowerClean vacuum cleaner models 3540 and 3540B. 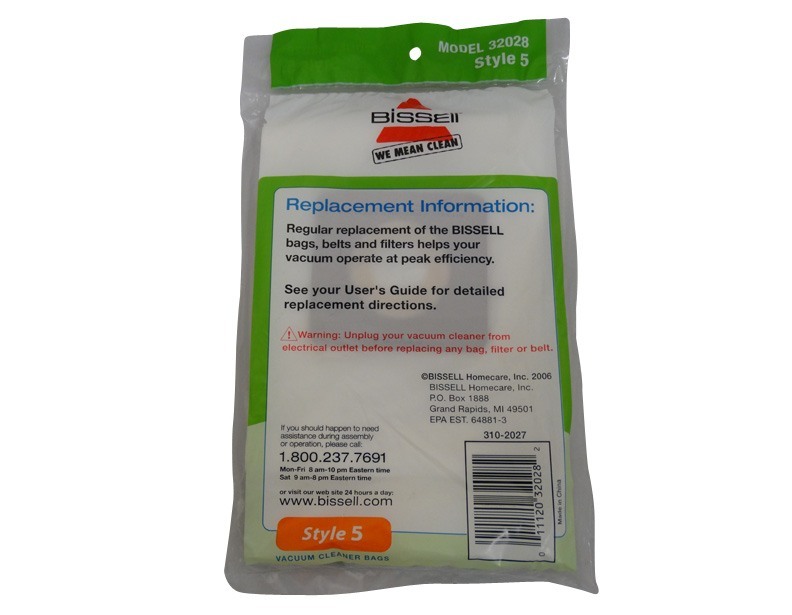 One package includes three bags. This product is no longer avialble.